Everyday, I rely heavily on some kitchen cookware to cook food and prepare recipes. Below you will find some of what I actively use and recommend to my readers. Please keep in mind that this page is under construction! 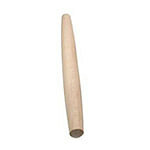 J.K. Adams FRP-1 Maple French Rolling Pin – a simple, yet very much needed tool that is used for working on dough. 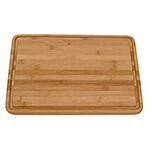 Totally Bamboo Malibu Groove Cutting Board – another essential that is used for cutting everything. I strongly recommend to get a couple of these. 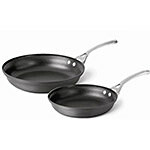 Calphalon Contemporary Nonstick 10 and 12 Inch Omelet Pans, Set of 2 – I love Calphalon cookware, because they make quality products at great prices. Something as basic as an omelet pan should not cost hundreds of dollars. 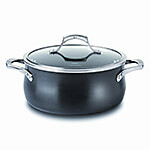 Calphalon 5-Quart Nonstick Dutch Oven with Cover – another quality product for Calphalon that I love and use daily. 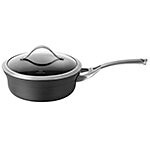 Calphalon Nonstick Saucepan with Lid – great for making sauces and other dish ingredients. 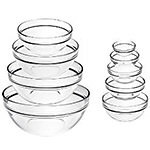 Stackable 10-Piece Bowl Set – another must-have item in your kitchen that you will use every day. 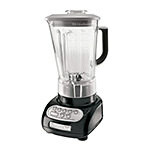 KitchenAid 5-Speed Blender – KitchenAid does not need introduction, since they make some of the best products on the market. 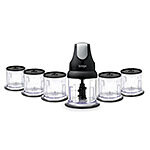 This blender is certainly our favorite and I have used quite a few! Ninja Professional Chopper – if you need the best chopper, look no further – the Ninja is one heck of a chopper. Definitely another kitchen favorite. 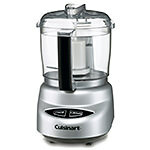 Cuisinart Food Processor – just like KitchenAid, Cuisineart also makes high quality products and their food processor is our top pick. 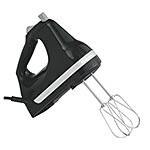 KitchenAid Ultra Power 5-Speed Hand Mixer – a basic mixer from KitchenAid, with a lot of power for those baking needs. 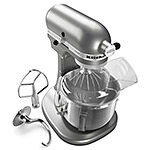 KitchenAid PRO 500 Mixer – it is not cheap, but once you use it, you will quickly see that it is worth every penny. 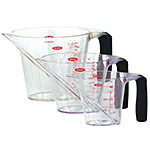 OXO Measuring Cup Set – a much needed set for measuring liquids, sugar, flour you name it! 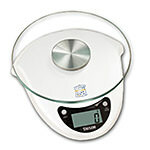 Taylor Biggest Loser 6.6 Pounds Kitchen Scale – just like measuring cups, you will need good scales for precise measurements. Again, why pay more if you can get something cheap that works as well as other brands? 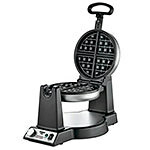 Waring Pro Belgian Waffle Maker – who doesn’t love waffles? I purchased this one from my local Costco and I absolutely love it.